It’s easy to start growing your own vegetables! 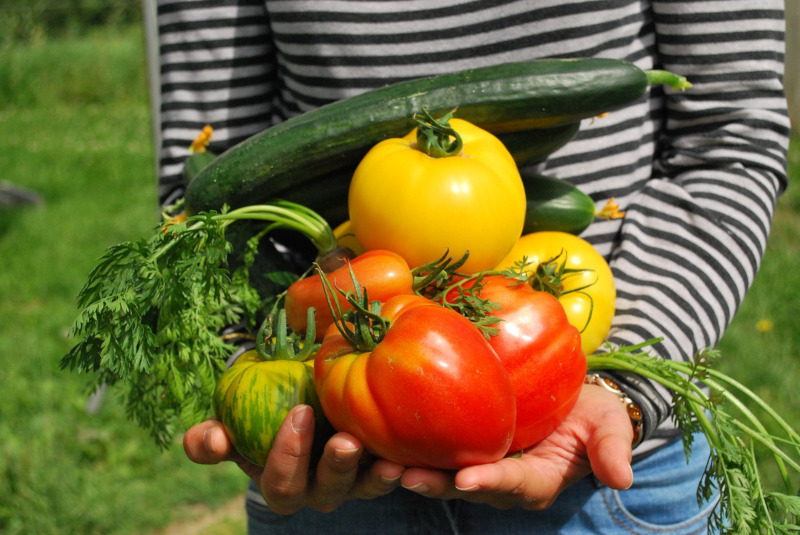 Follow our beginners guide to planting a vegetable garden for a step-by-step guide to gardening that will have you enjoying homegrown veggies all summer long! Most summer vegetables require between 6 to 8 hours of sunlight a day so it is important to plant your garden in an area that receives ample sunlight. The more sunlight your garden gets, the bigger the veggies will grow. However, if this is not possible, there are many plants that are still able to flourish in partial sunlight, and even partial shade. Check individual plants for their daily sunlight requirements before planting. Another consideration when choosing where to plant your garden is the soil and drainage. Choosing a spot with good quality soil will help your plants to retain nutrients and hold water. However, if the quality of the soil in your chosen spot is less than ideal, you can always improve it before planting your crops. Choosing a spot that has easy access to a water outlet is not necessary, however, it will make your job a lot easier when it comes to regularly watering your garden. One mistake that many beginners make when starting a vegetable garden is taking on too much too soon. The best thing you can do is start small. Do some research on how different types of veggies grow and what they need. Additionally, you only want to plant as many vegetables as your family will be able to eat. A good starting size for beginners is a 3 by 5 metre plot. This is big enough to feed a family of four for one summer and will leave you with a few leftovers to give away or freeze. You will also need to decide how you are going to plant your garden, whether it be in a basic garden bed, raised garden bed, wooden planters, or even a vertical garden. An easy garden type for beginners is a raised garden bed as it allows you to make the garden self-contained and more manageable. Now comes the fun part – deciding what to plant. When selecting plants for your first vegetable garden it is important to choose plants that are relatively easy to grow. Ask at your local garden supplies store what plants grow best in your area and climate. Vegetables like tomatoes, carrots, cabbage, and lettuce are great as they may yield more than one crop per season. Conversely, low yielding plants such as cauliflower can take up to four months to mature and only yield one pick, so it’s important to do your veggie homework! You should also choose plants based on the season you are planting them. Check the back of the seed packet for information on when each plant should be planted and harvested or ask at your local garden centre. Before you can begin planting your chosen vegetables, you will need to prepare the soil for planting. 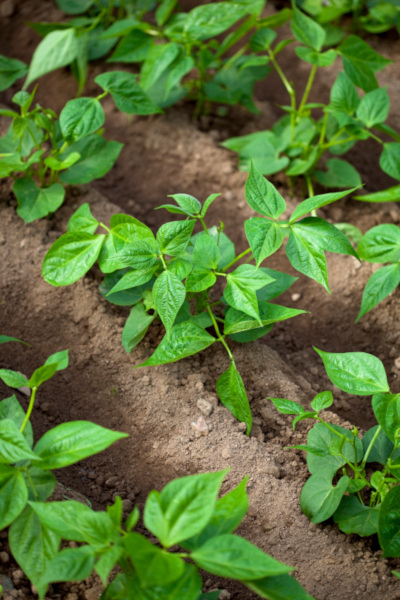 Vegetable plants thrive in moist soil that is rich in organic matter. If the soil is too hard, it will be difficult for the plant roots to penetrate, which is an essential step in the growing process. To prepare the soil, first, clear the area of fallen debris such as leaves and sticks. Then, to soften the soil, turn the top layer of soil with a spade or a similar gardening tool to help loosen it up. If your soil is not rich in organic materials, work some compost or manure in while turning the soil (if you’re not sure whether your soil needs to be improved, ask at your local garden centre). 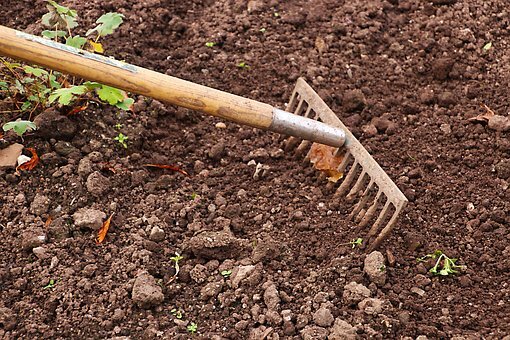 Once the soil has been turned and enriched, rake it smooth, ready for planting. Now it’s time to plant your veggies! If you’re using a 3m x 5m plot as suggested, divide your plot into 11 rows, with each row being 3m long. If your plot is a different size, simply adjust the length of each row to suit your space. Top Tip: For maximum sunlight, rows should be planted from north to south. Start by planting the tallest plants at the back of the plot, working your way forward to planting the smallest plants at the front of the plot. Seeds should be planted at double the depth of the width of the seed. So if your seed is 2mm wide, plant it 4mm into the ground. Use the guide on the back of each seed packet for the individual space requirements of each plant to ensure that there is adequate space left between each seed. This will make sure that your plants aren’t competing for nutrients and sunlight. Top Tip: When planting future crops, rotate where you plant each type of vegetable. This will discourage diseases and pests. Now that all of your seeds have been planted, all that’s left to do is feed and water your garden and wait for your juicy veggies to grow. You will need to water your vegetable garden often. Give it a good soaking at least once a week, and more frequently during heat waves. 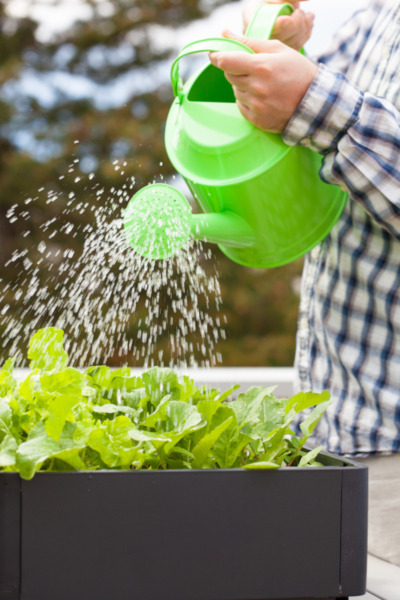 It is also important to feed your plants with fertilisers or compost to encourage the growth of large vegetables. You should also regularly weed your garden to allow your crops to spread and grow freely. Top Tip: To reduce the upkeep of your garden, add a layer of mulch on top of the soil. This will help to retain moisture and reduce weed growth. 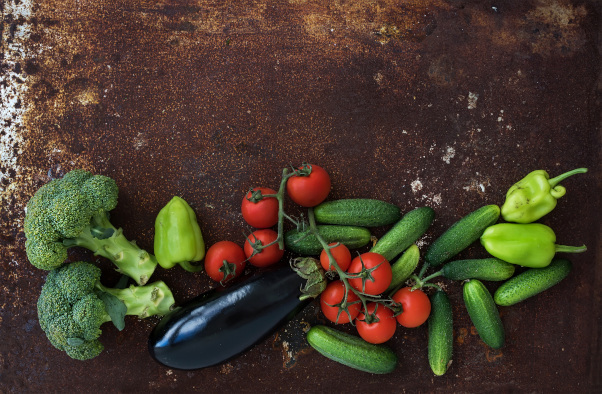 Once you have mastered your first vegetable garden, you can try expanding your garden, growing new vegetables, or planting a veggie garden that will produce vegetables year round. Happy planting!